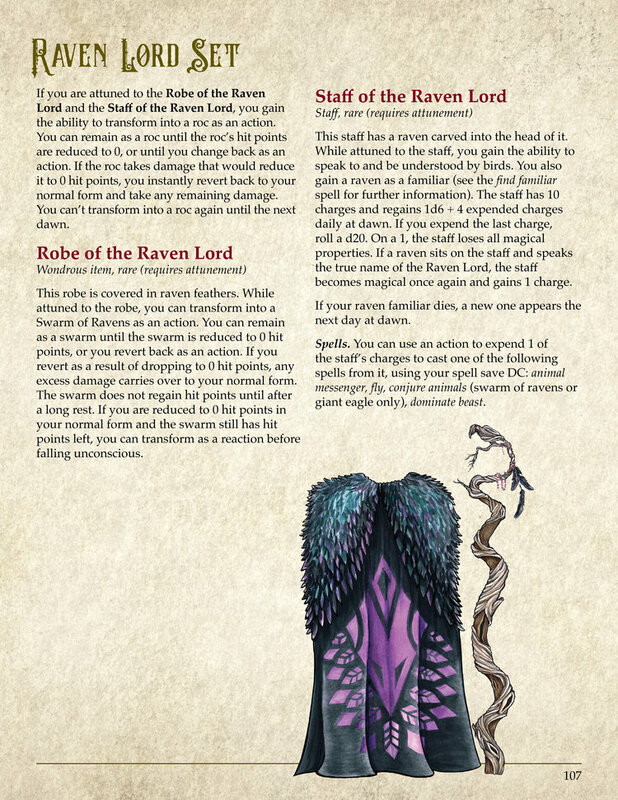 The Archive of Magic Items is finally finished! The PDF version of the Archive is live on DriveThruRPG.com, and I’m still working on the physical versions. But you’re able to go check it out now! This was a huge process, and it only came about because of the help of our wonderful Kickstarter backers and the amazing people that worked on the book. I’ll share some previews of the archive here, but go check it out if you haven’t already, and be sure to leave a rating! 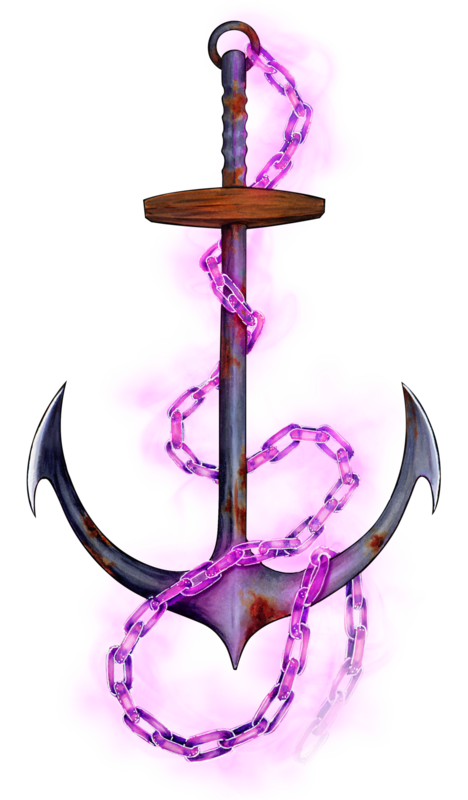 I hope you all like the Archive of Magic Items! 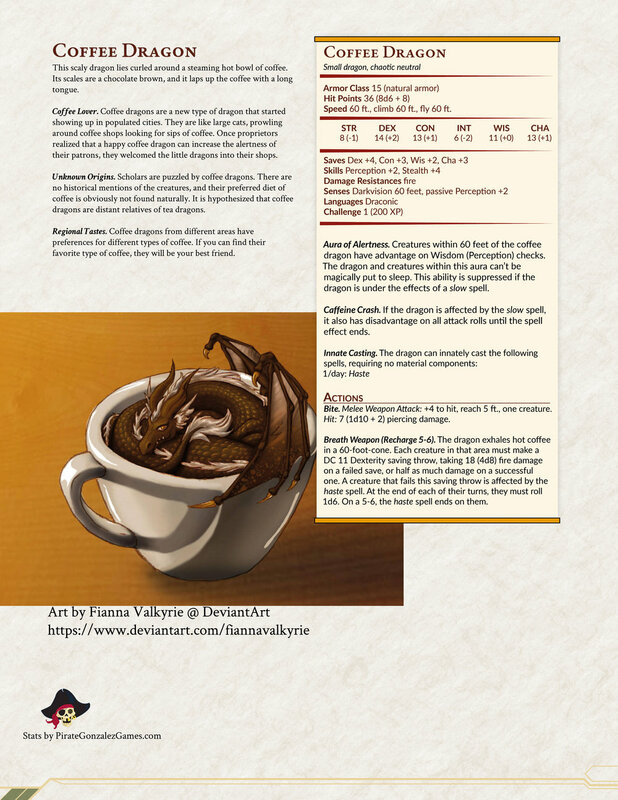 I forgot to publish the Coffee Dragon I made! Enjoy the little cutie! I’m excited for the new pokemon games, Sword and Shield! Since I’m kind of the D&D pokemon person, I figured I’d make some early stats for the starters. Which starter are you most excited for? 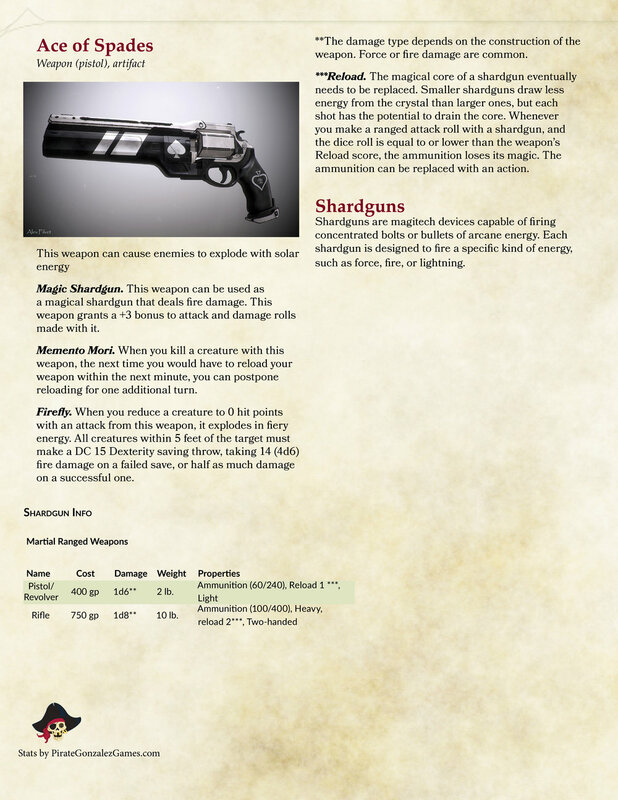 When I worked on the Destiny 2 Unit conversion for 5e, I forgot that I had made some magic items from Destiny as well! I’ll find the others, but in the meantime here is the Ace of Spades! 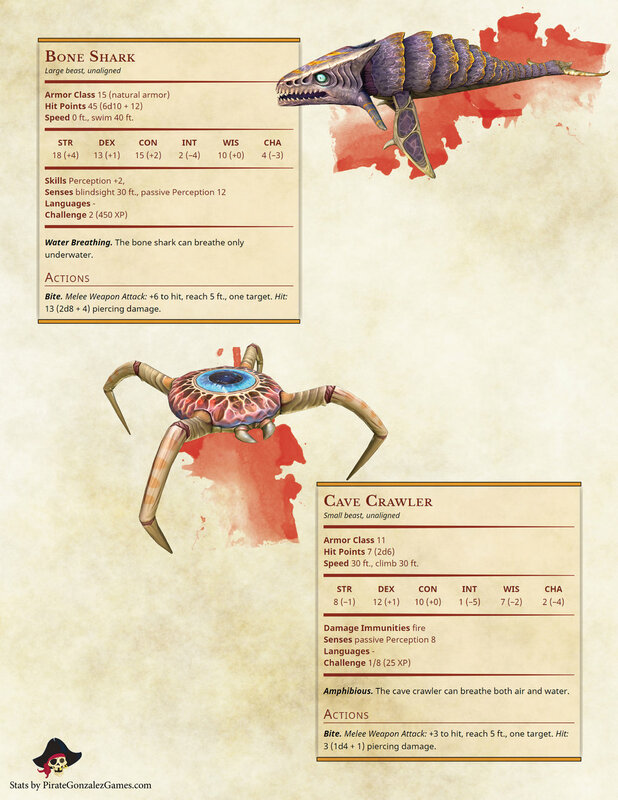 A friend requested that I create the Xenomorph and Predator for D&D 5e, so here you go! They had a very specific CR requirement and wanted them to be solo fights, so that influenced their build. Enjoy! 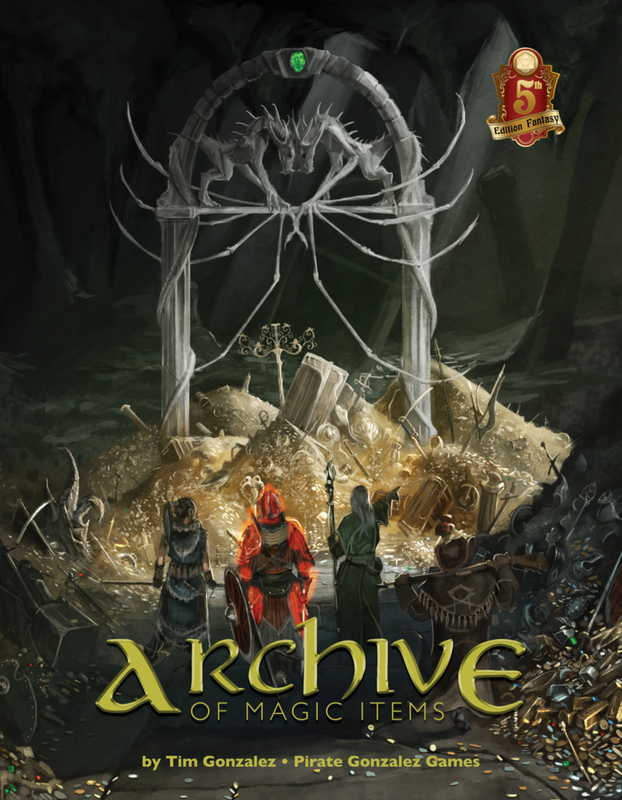 The Archive of Magic Items is nearly finished, thanks to the help of our wonderful Kickstarter supporters. 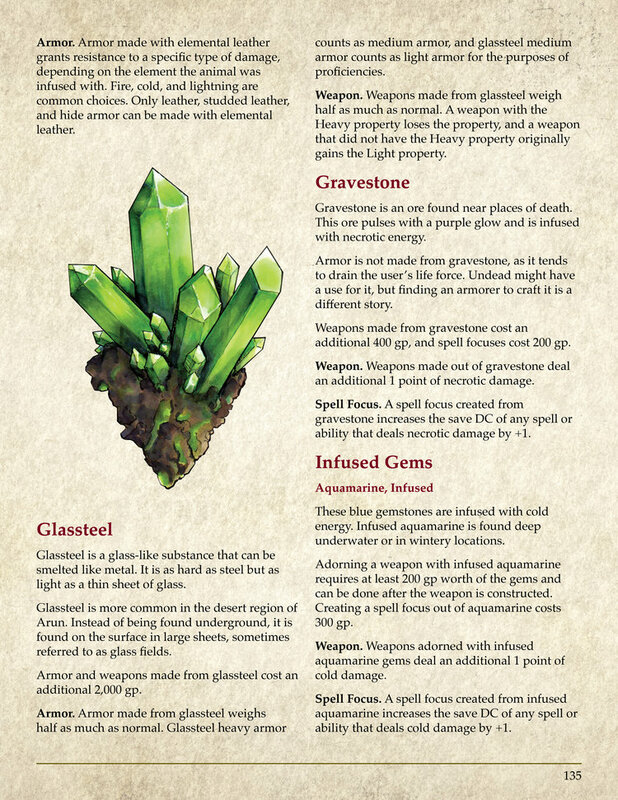 The Archive contains over 400 new magic items for D&D 5e, including new types of weapons and magical materials. I’ve been providing updates through Kickstarter, but I realized its been awhile since I posted anything here. I want to share with you some of the wonderful art that we’re putting in the book. Enjoy! If you are interested in pre-ordering a copy of the book, send me an email at PirateGonzalezGames@gmail.com and I can add you to the pre-order list. The Archive of Magic Items should be released by the end of Q1 2019. I recently finished Subnautica, an open world survival game on a water planet. Instead of foraging on land for food and hopping into caves, you catch fish and delve further into the dark depths of the sea. The game was a ton of fun, and there were a lot of interesting aquatic creatures that you could encounter. 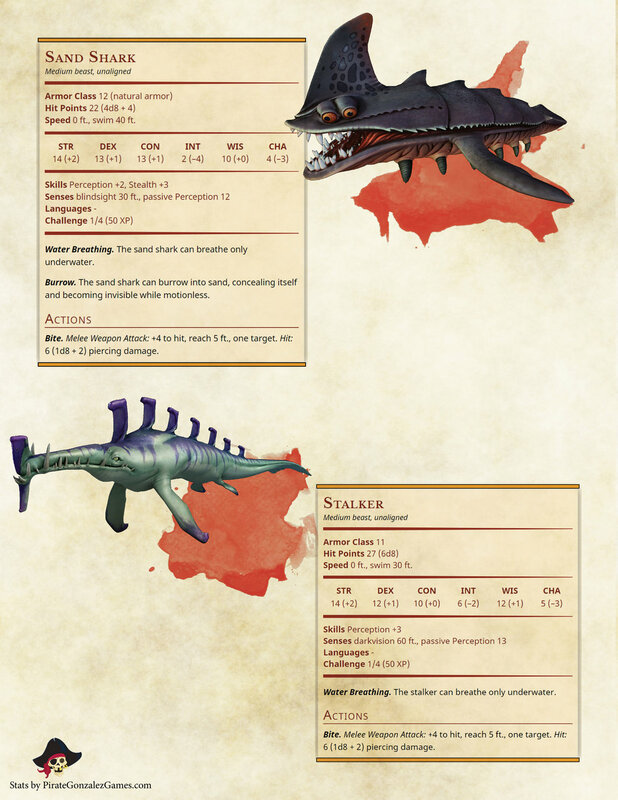 Not all of them were friendly, so I decided to stat up all of the aggressive fauna in the game! 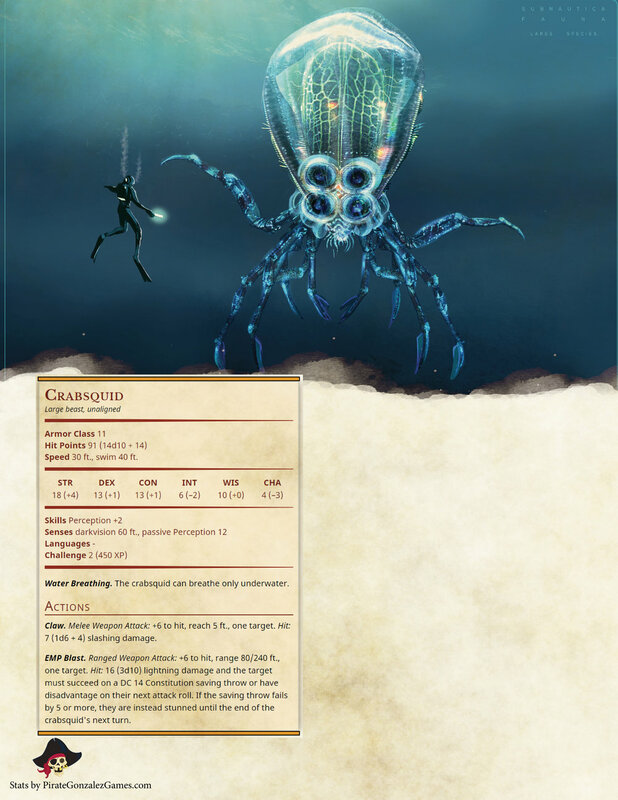 I hope you enjoy these aquatic creatures! 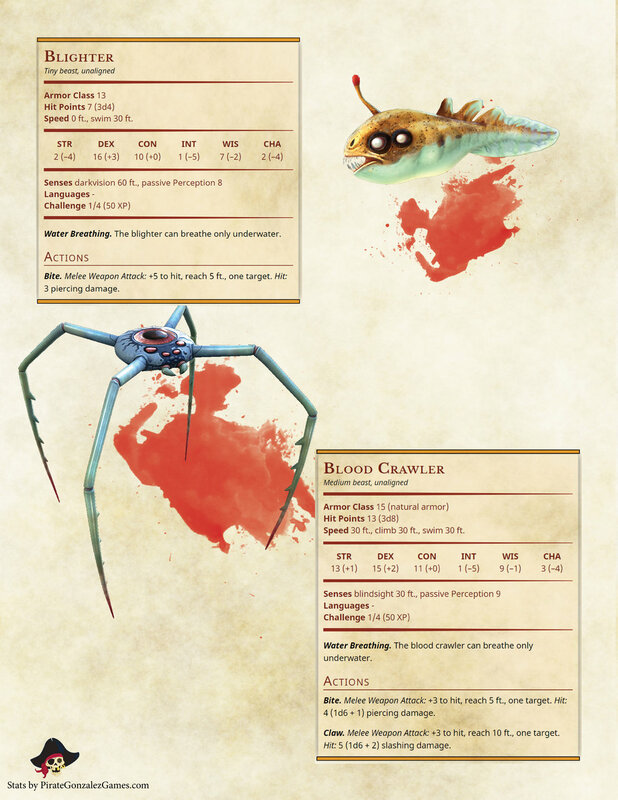 If you’re planning an underwater game, consider throwing these into the tank. 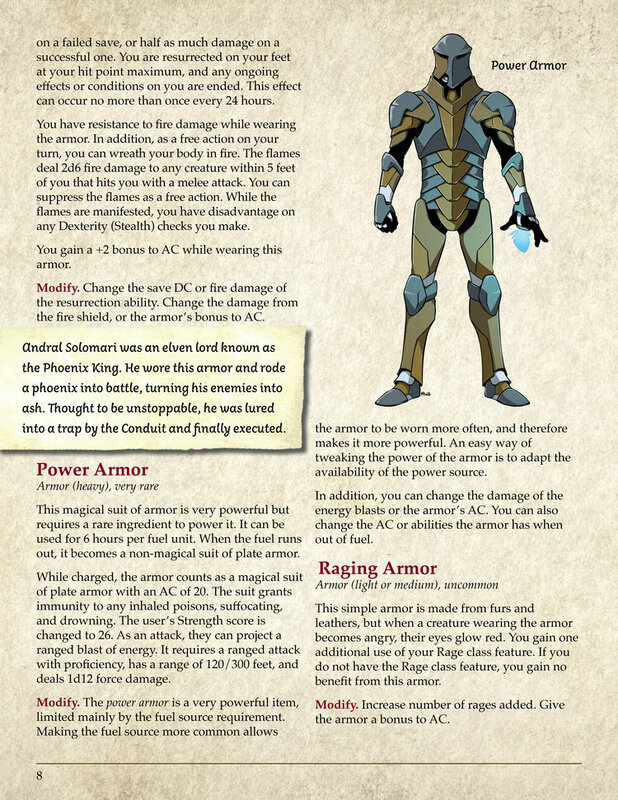 The last entry for the Destiny 2 D&D 5e conversion is here! The forces of the Darkness, the Taken are here! 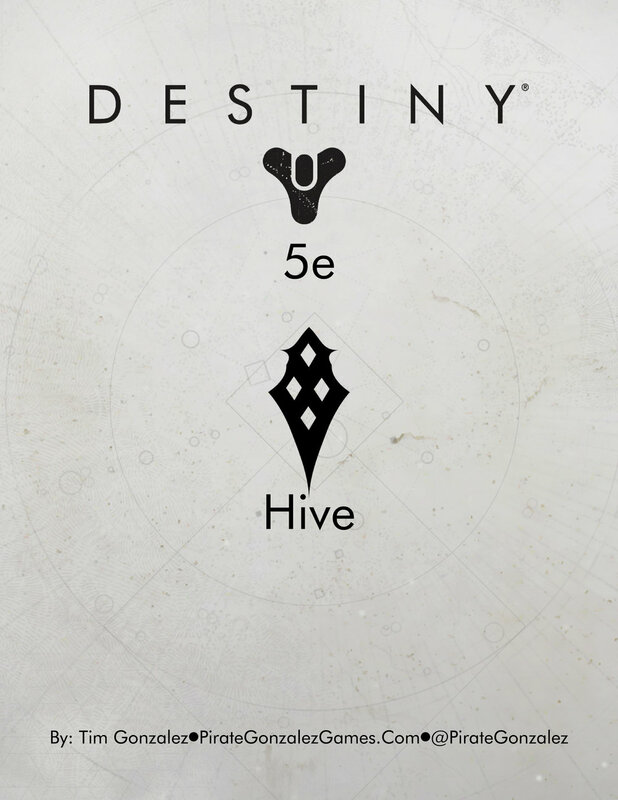 The Taken are the largest faction, but that’s because they’re made up of creatures from the other Destiny factions. 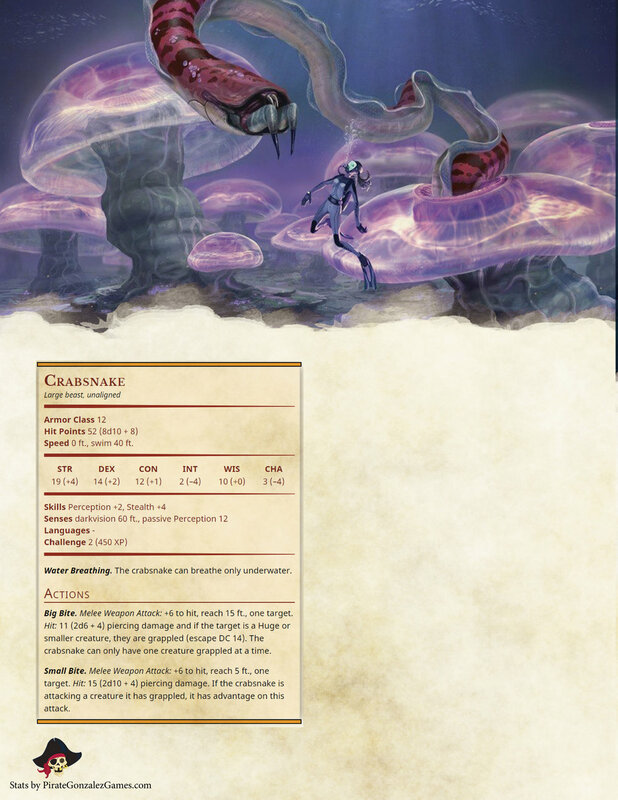 Some of the creatures are basically the same, but others have new abilities. I hope you’ve enjoyed this conversion! Check out the rest of the Destiny 2 monsters here! 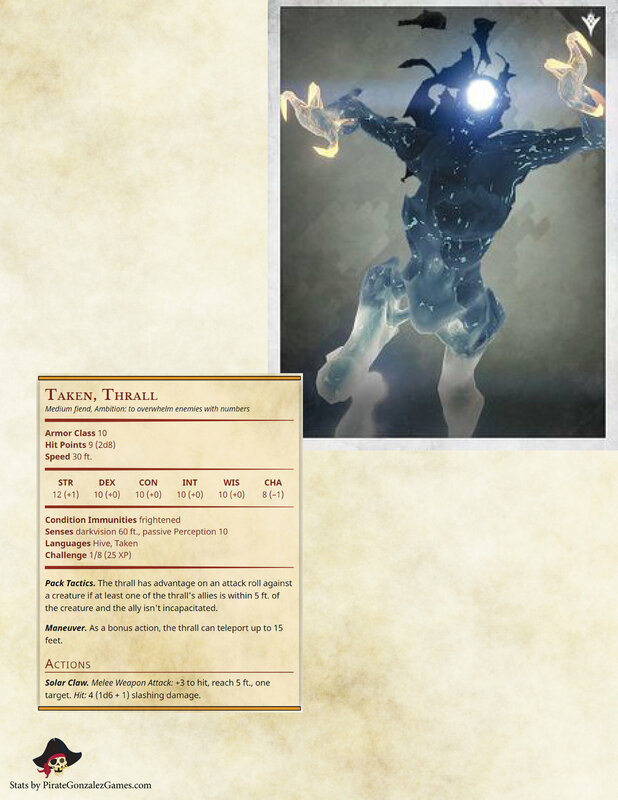 This week we continue our Destiny 2 D&D 5e homebrews! 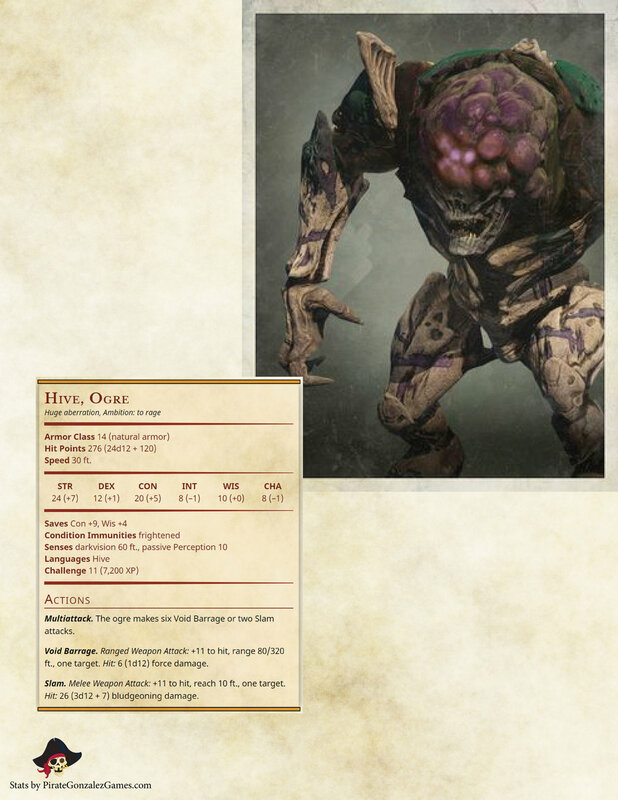 The strange monsters of the Hive are this week’s conversion! 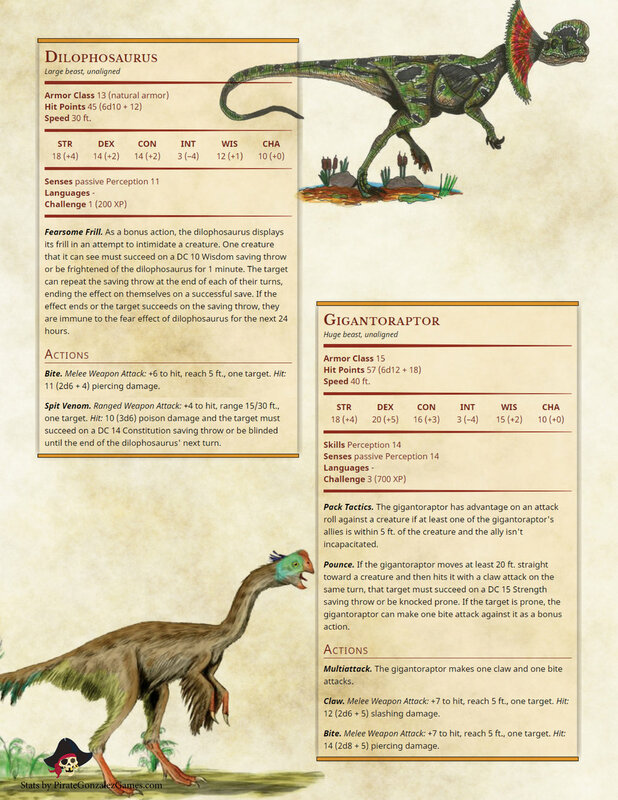 I’ve just released 8 new dinosaurs for your 5th edition D&D game. 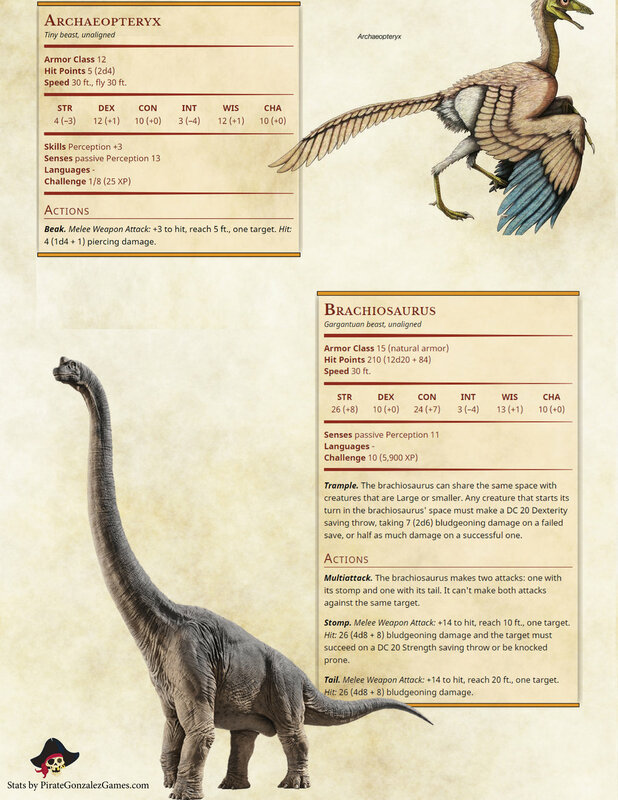 Between all of the monster books that Wizards of the Coast has put out, they’ve covered most of the standard dinosaurs. I put together stat blocks for 8 additional ones for some added variety. 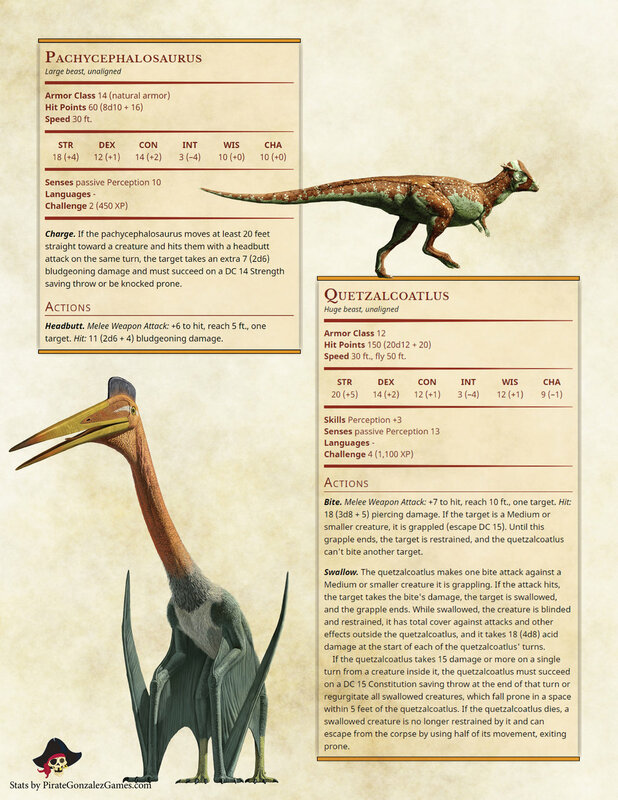 Check out the dinosaurs below! 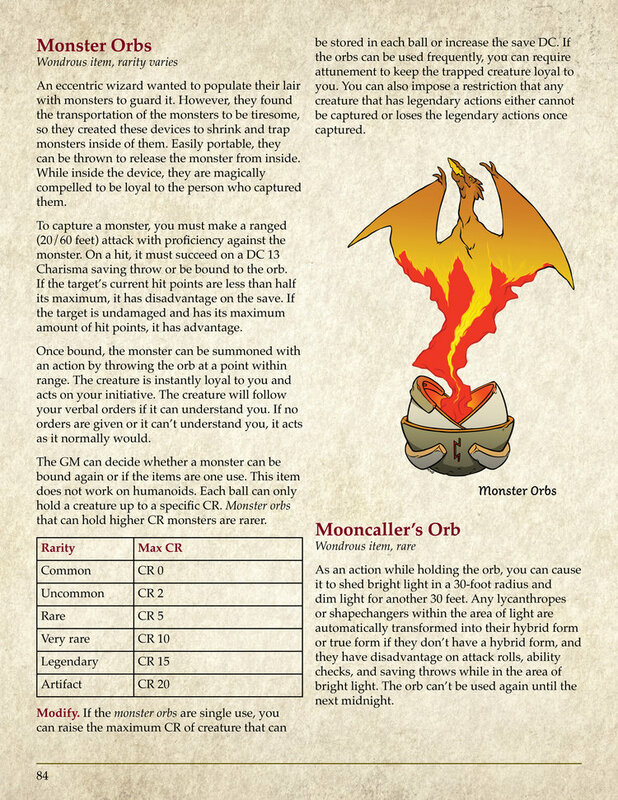 I’ve also posted it to the DMs Guild for free if you’d like it added to your online library!